What does it take to create a product which doesn’t go out of demand for years? The case of Airbnb shows that the hospitality idea, three air mattresses, and some boxes of cereal would be just enough to kick-start the exponential growth. How so? 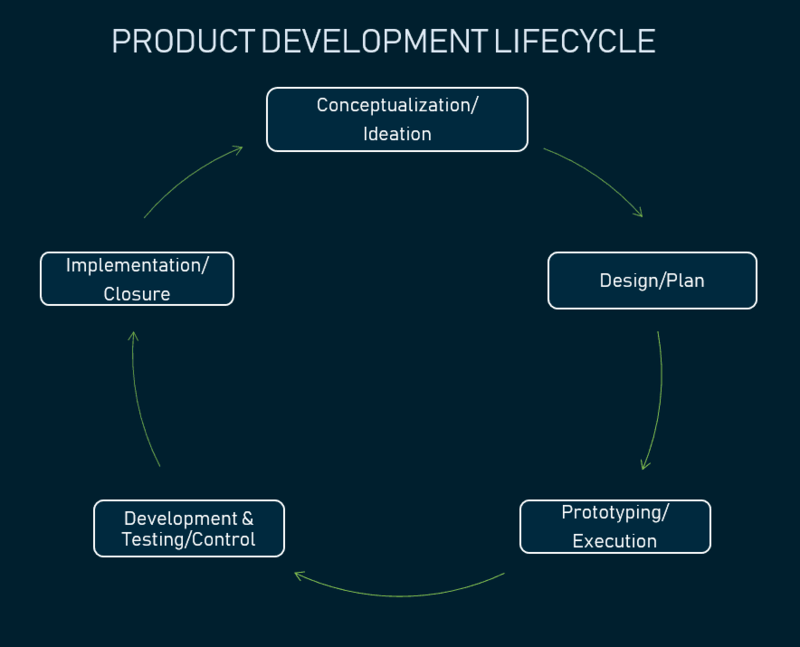 If you’re deep into business and deal with product management, you are well aware that every product has its own lifecycle. After the development stage itself, which always comes with great efforts for a programming team and a thoughtful product manager, every product starts its life in its own market environment. Regardless of your business model, your product will begin with its introduction and end with its decline, passing through all rises and falls of the market presence. In this article, we’ll define the basic features of each lifecycle stage relying on common product lifecycle representation first introduced by a US economist Raymond Vernon in 1966, and also give you some tips to prolong product success. As an example, we’ll use Airbnb – one of today’s most successful hospitality networks – product lifecycle stages. A software product’s market entrance is usually preceded by the development stage. The most comprehensive and fundamental steps are covered by The Project Management Body of Knowledge, adopted and supervised by The Project Management Institute. They include ideation or conceptualization, designing the product roadmap, prototyping, developing, testing, and implementing, as seen on the image below. The product development stage, however, can’t be fully considered a part of a product lifecycle as any product that exists on the market continuously undergoes development as new features and technologies get introduced to it, while the old ones are retired. If you use Agile software development approaches, during development you may consider certain metrics and KPIs to optimize product delivery. Remember the Airbnb sneak peek at the beginning of the article? Let’s briefly return to late 2007. Brian Chesky and Joe Gebbia, the two roommates who couldn’t afford to pay for their loft, decided to profit from the space they had. All they could offer was three airbeds, some food, and a homey environment. Initially, they simply wanted to close the gap between the short-term accommodation supply and the demand for it. Chesky and Gebbia had no more than an assumption that people would pay for sleeping on an air mattress in an occupied apartment. So, the first version of Airbnb included a simple website with pictures, targeted at attendees of that year’s tech conference. As they found three people each willing to pay $80 per night, the assumption became a viable business model. You may also believe that your product will succeed, but only tests and validation can prove that it’s not a waste of time and money. Basically, there are two ways to quickly transform an idea into something tangible and test it for survivability and possible means to accomplish it. Proof of Concept (PoC). This is a demonstration of a small part of the software usually created as a presentation. You introduce a proof of concept within your company before defining broad technical details or specific characteristics. Usually, this approach is taken before development to make sure that your particular technical ideas will work. Although PoC is not aimed at future customers, you can use it at the seed stage to win more funding. Minimum Viable Product. Statistics show that 42 percent of startups fail because they don’t resolve the product-market fit. It happens mostly because startups invest no or too few resources into preliminary market research. Building a minimum viable product (MVP) helps avoid this problem by testing the product and tweaking it iteratively. An MVP represents the earliest and simplest model of your product with basic functionality, enough for the product to work and sufficient to assess its value within its market segment. Additionally, building of the MVP helps you jump-start profits thanks to early adopters. Upon recognizing the product virtue and gaining initial funding, you go back to development, fix some issues, and complete it with additional functionality. MVP can be also considered a product introduction, or rather its alpha and then beta version. At the introductory stage, a product has no market share. Here, above development efforts, you focus all your resources on market research, testing, and primary marketing activities. In August 2008, the website AirBedAndBreakfast.com launched. To successfully attract its first customers, the company targeted that November’s Industrial Design Conference attendees. To fund the launch, the founders created two special cereal editions to exploit the Presidential Elections, which brought them $30,000 in two months. In the winter of 2009, the founders obtained a $20,000 investments from Y Combinator. In November 2010, Airbnb sought venture funding and got $7.2 million. High costs. Here you will bear the expenses of awareness- and marketing-related activities. Raising the brand’s recognition and visibility during the introduction usually takes a lot of effort. No profit. Don’t expect profits at the entry level. Until your target user is aware of your product and agrees to the price, you won’t recoup your investments. While you distribute your product via selected channels and push all your efforts into gaining market, all your resources will go into customer acquisition. Customer Acquisition Cost. This metric is aimed at calculating all expenses related to acquiring each unique customer, such as marketing and advertising costs and associated staff payments. By assuming a specific time period and total income, you can define whether your early adopters bring you return equal to the money you spent to attract them. Customer Lifetime Value. This indicator assesses the amount of money that one single customer can generate from a long-term perspective. The purpose of this KPI is to indicate the profit from the entire relationship with the customer. These metrics will help you pick up the right acquisition channels along with marketing strategies. Traffic. This KPI displays the overall number of people who discovered and visited your website or application. Organic traffic indicates visitors who reached the resource via search; paid traffic defines those attracted from advertisements or paid search, that is, sweetened sources. For instance, paid traffic indicators help you discover the relevance and efficiency of your promotion strategy and targeting. At this stage, focus on analyzing the buyer journey of your prospective customers. To raise awareness and establish an engaging purchase funnel, companies usually deploy a broad-based promotional marketing campaign. So, what steps should you take to transform your entry expenses into growing revenues for the future? Research and test. As we described in our article on product marketing, job number one would have been a continuous analysis of the market to specify your perfect buyer persona. By this time, you should have done this. But the introductory stage is when you finetune your initial pre-launch assumptions, specify them, and have enough time for changes. What purpose does your product serve? Why is your product valuable and unique? Engage. When you’ve identified your perfect early adopter, it’s time to involve them. Use every single possibility to get them aboard. Networking, cold emailing, and customer calls may help, but with the overall globalization and social network intervention, your prospect customers’ habitat changed, too. Depending on customer age and purchasing power, platforms and options for outreach may vary. Detailed statistics on social media use will help you attract and engage more early adopters. What are your product’s perks? What attributes does it have to remain competitive? What can prevent prospective users from adopting your product? What do you offer to guarantee your product’s high quality? How can adopters benefit from your product? Basically, the introduction phase might be the most hazardous for your product, since it might leave the market without obtaining even a small share. The success at this stage depends on a well-targeted awareness-style marketing strategy, its proper distribution, and your product-market fit. When these three indicators introduce the perfect match, your product moves to growth stage. When the number of early adopters starts growing, and more and more customers show acceptance of your product, you’ve moved into a growth phase. Here, your focus must shift to product improvement, market challenges, and handling the competition. Winter 2011. Airbnb declares its millionth booking since August 2008. Later, Ashton Kutcher announces his large investment in the company and establishment as a strategic brand advisor. Then comes the international expansion, starting with the German Accoleo acquisition in May 2011. Continuous user growth and a series of acquisitions of multiple travel platforms led Airbnb to 5 million and then to 10 million bookings in 2012. With each passing year, the company empowered its network and expanded its influence all over the world. Increased awareness. Since your product started attracting more customers, you don’t have to put all your efforts into awareness-raising activities. At this step, you’re achieving the word-of-mouth stage. Reduced share of marketing costs. At this growth stage, there’s no need to invest all your resources into awareness, attraction, and engagement, as you did before. Here, you no longer distribute your product via paid channels. Your owned channels, like your website, blog, YouTube, or Facebook page should work fine. Increase in profits. When you’re witnessing a surge in demand for your product, the monetization of your business begins. Your expenses don’t consume all your revenue anymore, and your income is rapidly growing. Growing market share. As more customers show acceptance of your product, your market share starts increasing. This is partially caused by your revenue, and partially by growing demand and impact on the market. Increasing competition. While your customers are more knowledgeable about your product, your market rivals are getting more aware, too. In these circumstances, the competition becomes stronger and more visible. Once you’ve noticed that your product has started growing and expanding its market share, consider adding other metrics to those you were using at the previous stage. It doesn’t mean that you should completely shift from the previous once to others. But as your product is expanding, the scope of your indicators expands respectively. Return on investment. This is one of the critical figures at the growth stage. It displays the capability of investments based on the ratio of money lost/gained applied to the total funding for a particular time frame/project. ROI is calculated with regard to a relevant time frame. Basically, it’s measured using the completion of the project or a specific part. Use these figures to learn your product performance or to inform investment decisions before allocating funds to the product. Number of active users. At the growth stage, the number of active product users for a certain period of time becomes the key. That is to say, this KPI indicates those who signed in to the website, spent some time there, and performed valuable activities. Usually, it’s calculated for a specific period of time – a day, a week, a month. Use this index for user behavior predictions, budget allocation, or product improvements. Number of Sessions per User. This KPI reveals basic user behavior. It shows how often users return to your site or application. To track it, use the statistics displaying the number of logins or site visits. The index unveils the product popularity when the audience re-engages with it repeatedly and reflects a median number for a particular group of people in a precise time period. This KPI is used to predict and prevent users from abandoning the product by comparing this data within separate groups of users. Number of User Actions per Session. This benchmark unveils users’ behaviors when interacting with the product. It’s applied to recognize the popularity of a particular feature after its introduction. Besides, you can analyze these metrics to learn what attracts users to your product. It will help you make decisions on product improvements and interpret customer behavior. Monthly Recurring Revenue. This KPI estimates a product’s total revenue per month. To chart it, score the revenue at the beginning of the month, add gained revenue from new purchases, and take away the churned revenue from your missed customers. Consider these metrics to monitor product strength. It’s extremely relevant when starting a SaaS businesses, which works on a subscription basis. Net Profit. At the growth stage, this KPI becomes arguably one of the most valuable ones to estimate business performance. To calculate the metric, subtract total expenses from sales revenue. Basically, a substantial net profit enables you to reinvest your revenue in further development and maintenance. Revenue Growth Rate. This KPI reflects product income you obtained. It shows how well the product accomplishes the established strategy. Here, you compare current expenses with the product revenue. Change your marketing strategy. At this stage, you shift your marketing strategy from Aware to Advertise. Focus on your target audience and obtained customers. Keeping advertising campaigns that bring the most profit, consider different distribution channels. This may involve promoted videos, influencer marketing, or other digital media means. Take note that your distribution channels at this stage depend on the product itself, your industry, and your resources. Improve and support the product. In the growth phase, your success mostly depends on customer satisfaction. To keep it high enough, never ignore product quality. You must constantly improve it, adding new features or additional services. Provide high-quality support and appreciate your customer. It will contribute to product credibility and increase customers’ trust. As we said in the beginning, the development cycles cover the entire product life. The growth stage is when you focus on new features and value-added services the most. Establish reasonable pricing. Set the prices high enough to gain profit and low enough to keep customers with you. That is to say, if you set prices too low to get more sales, you may suffer losses. On the other hand, if your prices go up rapidly as the demand increases, your customer may skip your product in favor of something similar but cheaper. Broaden the market. At the previous stage, you were most likely to put all your efforts and resources into one single market and selected distribution channels. Now that you’ve gained your market share and increases in product profits, it’s time to consider other related and competitive markets. As the growth phase is aimed at earning the product’s maximum value, investigate other means to strengthen it. The growth phase is intended to attract the maximum possible amount of revenue and obtain the widest possible market segment. All your product behavior and strategy must focus on these aims, maximizing market opportunities. When these objects are successfully achieved, your market position becomes stable and you continue into the product maturity stage. When you’ve won a solid market position, reached the maximum possible pool of customers, and your product provides stable returns, you’re in the maturity stage. Here, your product becomes widely accessible. 2015 may be considered the beginning of the Airbnb’s maturity stage. By this time, the company redesigned its logo, launched new apps, and enhanced user experience. Then, the company engaged in a series of arrangements with authorities in San Francisco and other cities that would legalize the Airbnb services and settle the tax issues. In late 2014, the company started providing $1 million in insurance to both parties in its rental transactions. Another series of funding, partnerships, and platform expansions strengthened its maturity and market position, which continues to this date. Sales peak. At the maturity stage, your sales volumes start reaching their highest point. Your product attracts fewer customers, whose interest is not as keen. Consequently, there’s no sales growth, and stagnation ensues. For instance, since 2015 Airbnb usage frequency has been flat and started declining in 2018. Profit stagnation. Once sales volume stops increasing, revenue doesn’t grow as well. Bus as the product has been long on the market by this time and has obtained permanence, the income is rather stable. Active distribution via different funnels. In the maturity phase, your product is already available to the public at large. For customer retention, your product is applied in every possible direction. To manage a fading interest and keep the sales level, your company includes sidewalk sales, surveying campaigns, and other promotional activities for customers reengagement. More competitive market. When your product reaches maturity, the industry it belongs to and the market itself becomes highly competitive. Why? Mostly because as your product matured, rivals were moving in, introducing innovative approaches with their disruptive products. No market extension. As you reach the maturity stage, your product no longer occupies new market segments. You defend the market share you already have as your product experiences heightened competition. This may only relate to your existing market segment, your region, age group, or a set of value propositions. For instance, Airbnb reached saturation in the vacation rentals market but can still venture to move into tours and attractions or flight booking. Saturation point. By this time, your product has existed in the market long enough. If you don’t update or innovate, the product reaches its saturation point – it becomes top-heavy in the market and customers get used to it, which is demonstrated by decreasing interest. Net Promoter Score (NPS). This metric reflects the number of promoters – loyal customers who are likely to recommend a product, and detractors, those rejecting it. High NPS encourages organic growth and negative NPS brings down a positive trend and product sustainability. You can share detractor data with your production team to enhance the overall customer experience and reduce the number of critics. Customer Satisfaction Score. This KPI shows the general level of user satisfaction or annoyance with a product or a particular service feature. You can use it to implement some product improvements or as a product performance index. Customer Retention Rate (CRR). This metric shows the percentage of customers who stayed with your product after a particular period of time and didn’t abandon it. When your CRR is growing, you can use it to assume for how much longer you can retain new customers. If there’s a precipitous drop in CRR, search for problems with customer experience or examine the market for changes and new rivals. Return the product to the Growth phase. 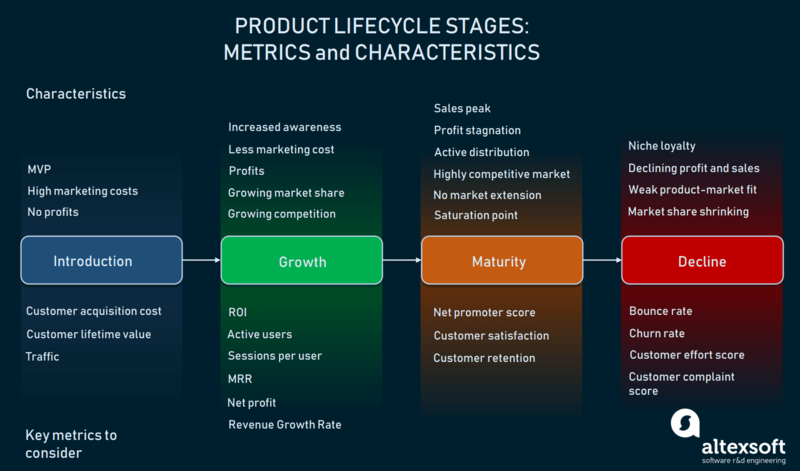 If your product has just entered maturity and hasn’t yet lost customer interest, you may try extending its life cycle by returning it to the growth stage. To put it into practice, resume the product development stage, examine performance, and introduce new features and services. This will support your product competitiveness and improve established operating model. Otherwise, you may simplify it to the maximum. This strategy is reasonable when you are ready to max out your efforts and resources in support of product reincarnation. Differentiate. To stay in a competitive market, focus on the selling points of your product. Define your product’s distinguishing features of your product – the ones that attracted customers initially – and promote them. Discover new markets. When you reach the saturation point and the sales pinnacle in a single market, but still want to grow, it’s time to consider entering new markets. This approach is suitable and reasonable when your product is still relevant, of high enough quality, and introduces enough value. In this case, you’ll stay aboard for a longer time. Airbnb, for instance, included tours, attractions, and activities booking into the array of its services in 2018. Accept maturity but keep an eye on the product. If you’re not ready to put your energy into product reincarnation, don’t have enough resources for it, or just want to profit from your product for as long as possible, own your maturity stage. In this case, analyze the performance all the time and never ignore product quality. If you track execution constantly, your product will stay competitive through mature for a long time. At this point, understand that every single product has to go through this stage. The main question here is that for how long you will hold onto it and how much profit you’ll gain here. When the product has reached the saturation point, the overall demand is sinking, causing a drastic drop in sales and forcing profit collapse. At this stage, the product is less and less relevant to market requirements, and then customer interest focuses on other innovating products. We can’t delimit the period when the Airbnb will go into decline. On the background of occasional scandals and lawsuits due to vandalism and inappropriate travelers behavior, the company seems to be maintaining its strength and popularity over a long period. Considering that the company announced its IPO plans, Airbnb still sits at the maturity stage. We can simply predict that over time, customer expectations for hospitality solutions will change and more relevant and innovative startups will overshadow Airbnb. The loyal market niche is still ready to pay. Despite rapidly declining interest from the entire market and customers themselves, there’s still a firm but small market segment staying enthusiastic about your product. 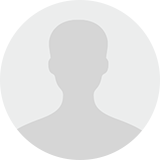 In large part, these are the customers who help you achieve the minimal required rate of return. But by choosing the wrong approach, they are likely to leave your product in favor of something more disruptive. Sales and profit are declining. Since there are no more mass trade flows that your product experiences, sales volume is rapidly dropping. As there is no sustainable funding stream, your profits are running on empty. The minimum sales level keeps your product viability from collapsing into losses. Weak product-market fit. By this time, your product has been on the market for several years. So, it’s most likely outdated. As almost any market itself is vulnerable and open to changes, for now, your product doesn’t meet massive needs and doesn’t fill the gap between users and the market. When no longer required, any product can suffer displacement from the market sooner or later. The market share is shrinking. The market newcomers are expanding their businesses and rapidly gaining share. Accordingly, your market share is decreasing, suffering attacks from your innovative rivals. Although you still have your loyal customers, it won’t be enough to keep minimal profits without losses, along with the market presence as a whole. Bounce Rate. These figures display the number of one-time visitors. That is to say, you calculate the percentage of users who landed on a single page, didn’t find anything useful – and left. It helps you analyze user behavior and learn how to optimize your product to prevent buyers from passing it by. Churn rate. This indicator calculates customer churn – those who cancel recurring payments, and revenue churn – the amount lost due to customer churn. This KPI can tell you how customer satisfaction changes along with your product lifecycle and after implementing changes. The churn rate is mostly used in subscription-based business models. Customer Effort Score. This KPI becomes one of the most essential at the decline stage. By interviewing customers or sending them a survey, you analyze product complexity and usability. It helps you understand how much effort it takes for an average client to successfully use your product. That’s how you learn what to improve or simplify to make them want to stay. Customer Complaint Score. This index reflects the level of user dissatisfaction. There comes a point when the product no longer meets customers expectations. On analyzing all complaints, you understand what went wrong, what led to discontent, and what steps to take to avoid your loyal market niche shifting to your competitors. Сut production costs. At this point, the first thing to do is evaluate all your production expenses. Follow the so-called Lean concept. Define the most cost-effective points. Undertake the assessment of your product features to discover which of them carry no worth and eliminate them. Then, put all your efforts into what represents the most value to customers. This will refresh your product and get rid of expenses that supply no return on investment. Pivot. To revitalize your product, you may as well consider a pivot option. It is a structured correction of the product course that aims to verify a brand-new idea on the overall strategy and market approach. The pivot suggests a full turnaround of the company course and further related activities, such as a product plan, development process, expenses, and others. In some cases, pivoting even suggests the complete replacement of top management. Go to a cheaper market. When your product has exhausted opportunity to one selected market and is not competitive anymore, discover other, possibly cheaper, markets. They will most likely to have lower profits. At the same time, such an approach will save you from wasting a huge amount of money in attempts to stay in a market where your product is already irrelevant. Leave the market before product losses start. If you want the product to reach the end of its life with the least economic loss, consider withdrawing it altogether. To do it in the least costly manner, put it out as soon as you stop gaining even minimal profits. As a different way out, you may sell your product idea, or the entire business to a greater enterprise with shared interests. Doing that, you’ll leave the game with less pain – before the product shows an actual loss. Every product will reach its end-of-life point no matter how relevant and competitive it currently is. Exceptions are so-called evergreen products, which are unlikely to exist in the software world. The creation of such products is very resource- and effort-consuming. So, the main objective in the market is passing through the whole lifecycle with the maximum possible profit. Product life cycle depends on many attributes. It starts with the idea and the industry, continues with product quality and ends up with the market vulnerabilities, not to mention customer wants and needs. Let’s skim through some examples of popular products within their lifecycle stages. Introduction. Epic Games Store, a digital video game storefront run by Epic Games, is in its introduction stage. Since its December 2018 release, it has been inserting itself into the market of video gaming services, being available only on the web and through the native launcher application. Growth. Instagram, the social network for photo and video-sharing keeps on growing. It’s mostly used by young adults and is closely related to promotional and advertising activities. Maturity. Facebook, the long-lived social network giant, may be easily considered as one that has reached the maturity stage. Despite the scandals due to data leaks, which caused some outflow of users, this social network still remains the most used globally. Decline. Twitter, online news and social networking service, has already gone into decline. Reports show that the number of platform users has begun stagnating. There’s no straight answer or strategy on what to do to make your product survive in the market and stay there forever. We suggested some pointers on on how to extend your product lifecycle by tracing the performance, caring about your users, and maintaining product quality.